Beijing: A Chinese court on Tuesday sentenced a Taiwanese activist to five years in prison for subversion of state power, an offence stemming from comments he made outside Chinese territory. The sentence was issued by the appellate court of Yueyang in Hunan province, where Lee Ming-che, 42, said he would not appeal the court's decision, reports Efe news. 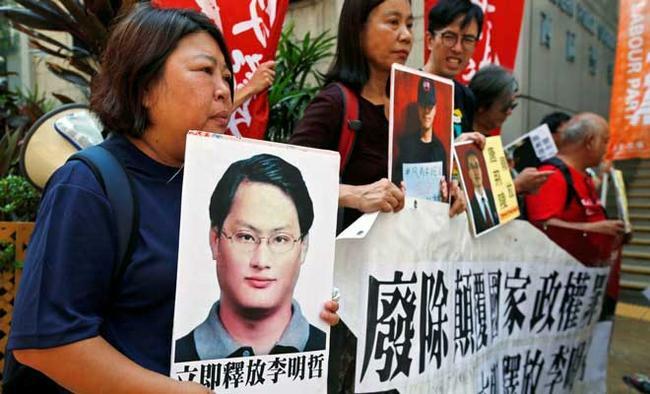 This case marks the first-ever extraterritorial trial against critics of China and the first Taiwanese dissident charged with subversion of state power as well as the first non-Chinese member of a non-governmental organisation who was tried in China after a new law regarding NGOs in the Asian country was approved in 2016. In Taiwan, Lee's actions are not crimes and China charged him for what he did outside his territory, Eeling Chiu, executive secretary of the Taiwan Association for Human Rights, told Efe. Lee disappeared on March 19, after entering China from Macau on a private trip. On March 29, he was reported to have been arrested but his whereabouts remained unknown until May, when the charges against Lee of subverting state power were made public. On September 11, he was tried in the city of Yueyang,, where his wife and mother were also present, and during the trial he pleaded guilty to charges of subversion. The case has sparked much interest from international organisations, including the UN, the US Congress and the European Parliament. Lee, a former employee of Taiwan's ruling Democratic Progressive Party, is a professor at the Wenshan Community College in Taipei and a volunteer at the Covenants Watch NGO.